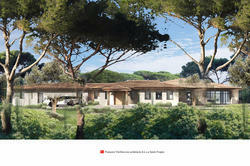 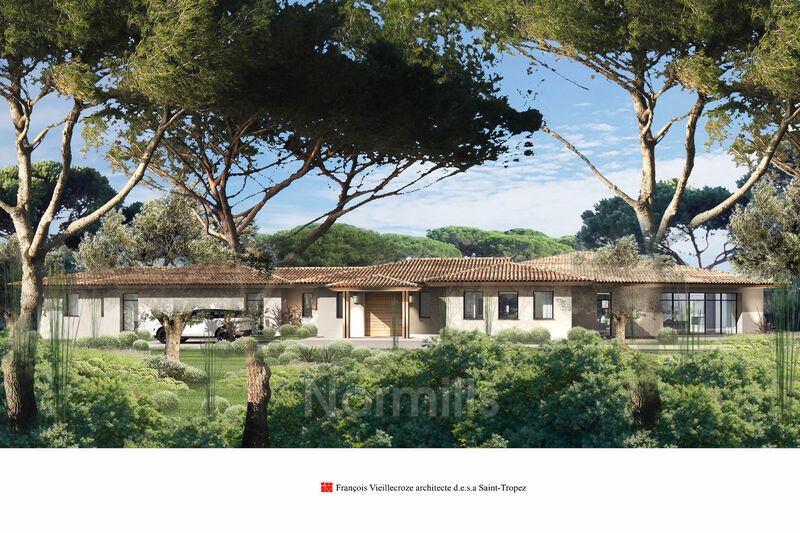 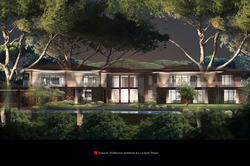 This ongoing project is located in the prestigious Parcs de Saint-Tropez area. 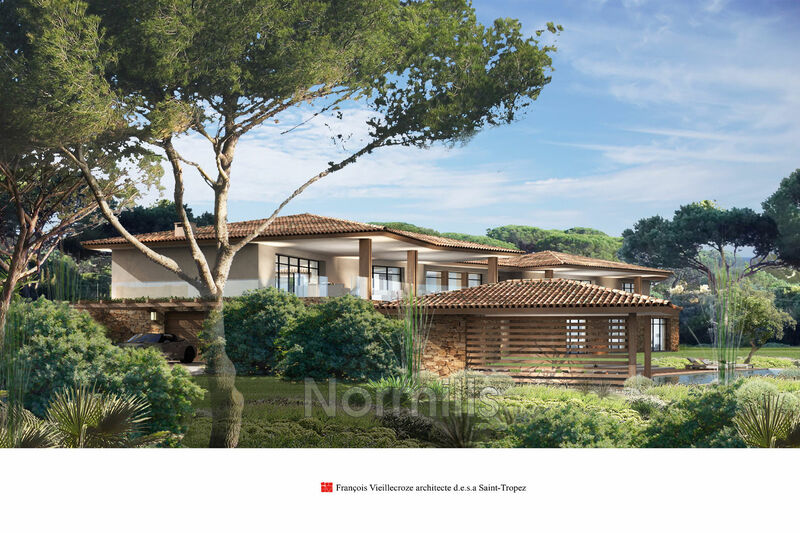 The 610 m² villa with an ocean view will be completed in June 2018. 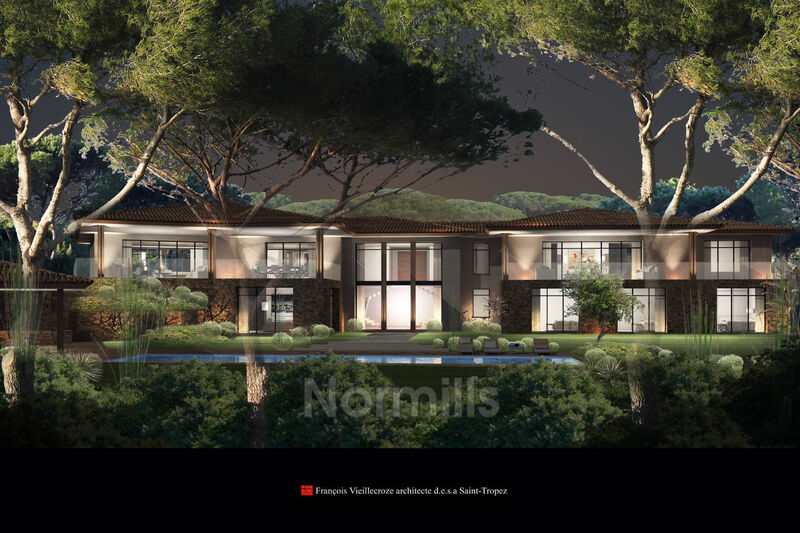 It will offer spacious living areas, six large bedrooms, a cinema room, a bar/wine cellar with a billiards table, a sport area and steam room, a staff room with a professional kitchen and a large covered parking garage. 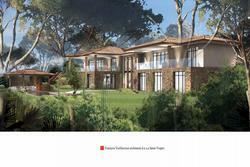 The heated swimming pool (16 m x 4.5 m) and pool house will be surrounded by a beautiful landscaped garden.